Sarah, thank you for letting your voice be heard. I have checked back a few times wondering if we would get news of you and how you are doing, and while it is great to hear from you, it is sad under these circumstances. 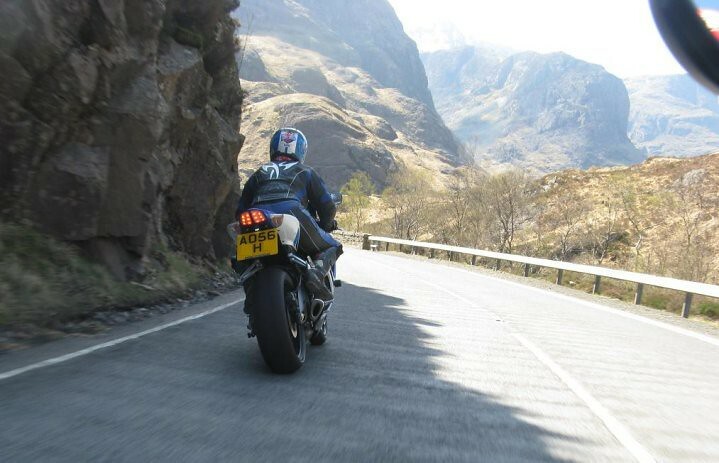 Riders share a special bond, and all of us who read this thread from Kam were privileged to experience the unique experience from the group rideouts across the pond (agreed the scenery is spectacular). How great it is that you would honor the memories of those so close to you like that, we now again share in your time of sorrow. Speaking for myself, I hope to hear back from you as time goes on and know that you are putting the pieces back together as you are able to do so. Thank you for keeping Kam's memory alive, I loved experiencing Scotland through is lens and words. The world was a different place after we lost him, however I am glad that the thread is still here to go back and be reminded of how great it is to be alive, on a motorcycle, with friends and loving what you are doing. No one did that better than John. Hi TS, thank you for your kind words. It has been a difficult time adjusting to this new existence and my health and well being challenged to the point my leathers were far to big for me . However I am slowly gaining weight again and dare I say, it's given me an excuse to eat more cake, something we seem to do a lot of these days when we ride out lol. I am pleased to say, you haven't seen the last of the Scotty Crew, we are here to stay as long as we have something to post. Without the crew, those who joined us from time to time and John's many followers, this thread would not exist. As for me, this thread is like a old friend and a reminder when John and I would put the bikes away at night. We then download the photos and like unwrapping a present we always felt quite excited at what had been captured, especially the 'on board' shots. 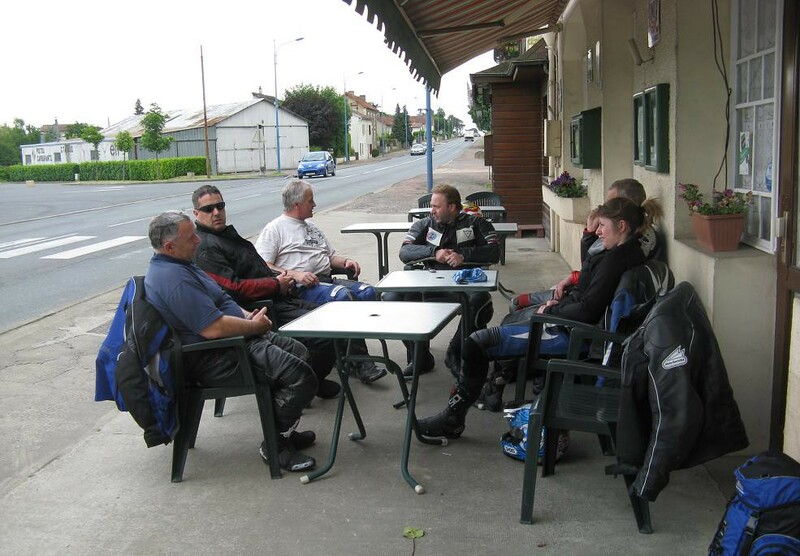 Our post ride out evenings would always be full of enthusiasm as we viewed, chatted and reviewed every photo. It's just one of the many things I very much miss we enjoyed together. YJake, klaviator, Bigbob1 and 3 others like this. Hi Seb, it would be an honor to continue and I think you know as I do, Kam would love to see me and the crew make the most of our days and document it which Kam had been doing since 2010. Without the crew, those who joined us from time to time and Kam's many followers, this thread would not exist. I knew some of the crew when we rode on your fabulous roads through Scotland, so i perfectly understand what you say. John is still alive here and more deeply in our hearts!!! Kamchat and TreasureState like this. Thank you Sarah so much for the update; I too check back frequently in the hopes of hearing how you are all doing. So glad to hear you are riding again and enjoying times with your crew. Was such an inspiring read and then you mentioned the passing of your friend Jimmy. So, so sorry to hear that, must be such a bitter pill for all you guys to swallow.........my condolences to Jimmy's family. All the best from Canada, winter right around the corner here too. Thanks again so much for taking the time to update us all. Cheers. Hello to each and everyone of you and thank you for your messages. As you may have read by now, on the 21st April 2018 the group lost their very good friend John and well respected biker, and I lost a significant half of me which is not possible to replace. The day, though fuzzy, I will never forget being greeted by two police officers at my front door, it's that 'thing' not one of us as bikers ever wish our families to experiance or indeed to us bikers, but it happened to me. It's now been a little over 26 weeks and not a day goes by without me thinking about John, he was my world even if I only figure 3rd on his list (see first post). Joking aside it pains me that not only did I lose my soul mate, my best friend, my wingman and my future husband (as we were due to marry on Thursday 7 June). We just worked and although we were not unique as a biking couple, we had many good times together out and about enjoying the Scottish landscape and overseas in to europe and this thread has document most of mine, our friends and his story since 2010. 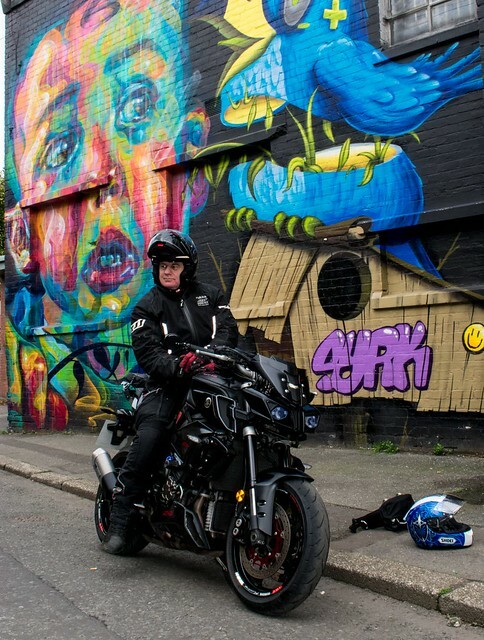 I smile as I write this, as we spent hours sat together as he uploaded the photos from each rideout, so the conversation of the evening was often about the day out riding, but also when we planned our next day long adventure. It's going to take along time to rebuild from this point forward, but we as a group have continued to do what John would expect us to do and that is ride! And that is what we have been doing and I am sure you will also be please to see that the white GSXR1000 is still in action, albeit with a different full time pilot, me as my GSXR750 is no more. 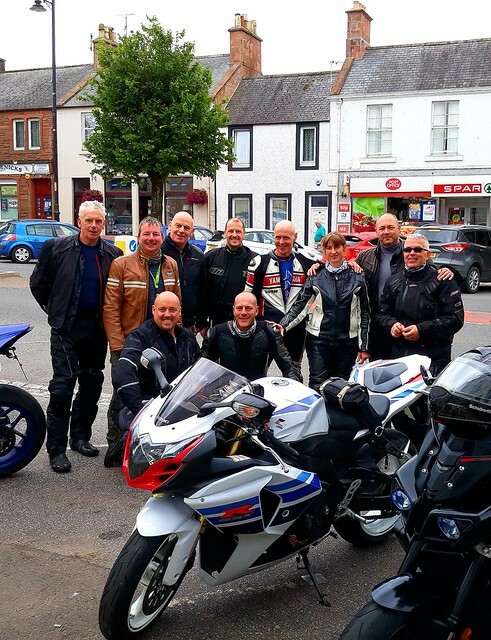 Our bond is biking, which had in part been cemented by John and his enthusiasm and often it was he who issued the ride out messages during the season to all . I guess it will come as no surprise that since John passing I was asked and even told to give up biking and I'm sure the other guys have been ask the same question too. But surely if we give up what makes us feel alive, then as I said to one person I may as well give up life. However my post cannot finish here, as I bring you more sad news. On 6 October 2018 our friend Jimmy who is in the group photo was hit by a car and died as a result of his injuries. If losing John wasn't bad enough at the beginning of season, lossing Jimmy at the end has turn our world very much upside down. I and three of the other guys were with Jimmy at the time as we willed him to hold on but it was in vain. Jimmy was a much loved member of the group and he as like the others have been a huge support following the loss of John. Hi Sara Its so nice to hear from you and that you LKC and family have appreciated all of our messages but at the same time terrible to read of Jimmy's passing as well. John wherever or however we met him lives on in all of our memories. Mine will be seeing him chase those French bikers down that great twisty motorway when we came over the Millau Bridge. Just thinking about it was Jimmy on that trip ! or was that another Jimmy. Its great to also learn that your now able to get back out with your gang because you dont need me to tell you that what is what John would of wanted. Its been a great year for biking weather wise but would you believe just before the weather became good I broke my wrist and it was in plaster for two months. Dont ask ! Never was a fast rider even when I rode my Blackbird to Spain with you all but even slower now I have a GS1200 Beemer. I think its an age thing. I thought John got a bad deal when he got caught speeding but just watched a video where two fellas on sports bikes and one got caught speeding in Switzerland and for doing 60mph over the top he got an immediate ban and a fine of £3200 on the spot. So perhaps I am better off on the GS. Anyway as I said its nice to hear rom you again so keep in touch with all of us as much as you can. We all certainly miss John and his excellent photographs thats for sure. Finally and who can say otherwise really hope that John is somewhere talking bikes and having the craic with Tommy who was also on our trip. TreasureState and Kamchat like this. It's good that we are back on the map so to speak. Many thanks for your condolences. TreasureState and tweise like this. Aye loosing our Jimmy is another major blow for the crew. He was a much loved and valued member (especially for his knowledge of the road south of Glasgow), and like John /Kam will be very very much missed. There is definitely a nip of cold in the air, but we haven't quite hung our boots up. Though it was as I am sure you will appreciate this could depend on the weather report this Friday... and the temps are due to drop as the wind swings from the North. It's great to see you here. It feels such along time ago the Barcelona trip and yes I remember John and the French bikers... what an idiot since he completely missed the turning and then it was sometime before we saw him again. Honestly sometimes I could have crowned him for worrying me lol. Can you remember when he called and we were at the tolls? I remember breaking his shoulder, though we weren't with him and that group at the time. You may remember were named the 'slow group', Though I know you guys decided to take the route via Andorra (with John temporarily following you as he hadn't realised lol), but we made it back to Brive la Gaillarde before the fast group on the return trip, mind you I'm sure Jimmy's off probably had slowed them down. It wouldn't surprise me if John's found Tommy and Jimmy's with them too somewhere beyond this world. For you I had a dig around and found a few photos from our trip, hope you like? klaviator, TreasureState, hondated and 2 others like this. 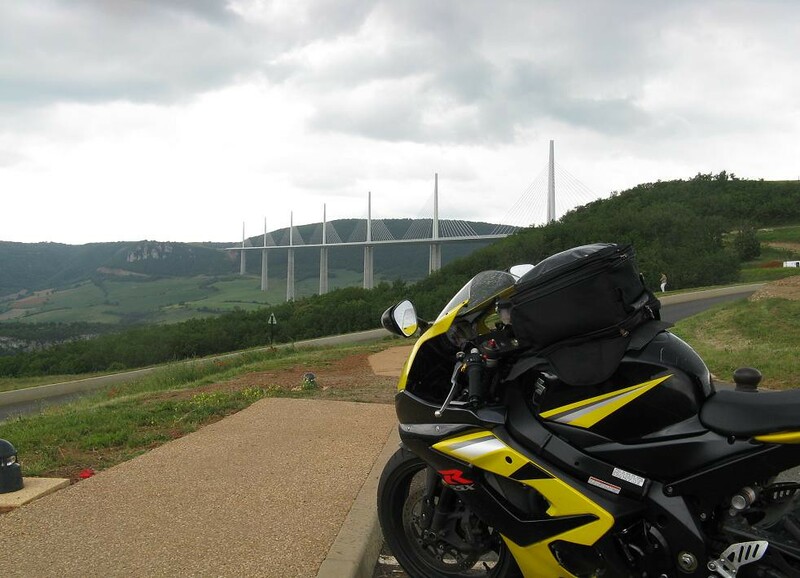 The "viaduc de Milliau"... nice place! Finally Sarah we cross our lifes many times without meeting... And the first was in 2013, at the Hilton Hotel, Do you remember?? hondated and Kamchat like this. Hello Sara, good to hear from you and feel crushed that another member of your group has fallen. Like many others that followed Kam's thread, we have never met, but I felt like part of your group and wondered how you are coping and if you would continue to ride. In March 2017 I lost my wife of 17 years, best friend and constant riding partner. About 6 weeks after she passed i went out to the barn one day looked at the bikes, closed the door and didn't open the door for another month. The first couple of rides I'll admit I didn't enjoy, I hadn't rode solo much in many years. My riding buddies were brilliant. No one pushed me to ride but as soon as they saw my bike out they pulled up almost daily to go for a scoot. I got my joy back, wind therapy is the best. There were times I could almost hear her nattering in my helmet over the intercom. I'm happy for you that you continued the sport and have such an amazing group of like minded friends. klaviator, Kamchat, TreasureState and 3 others like this. Kamchat, Oms and TreasureState like this. Yes I remember all that and I think we were all feeling a little smug that us in the slow group had beaten the fast ones. I vividly remember us meeting them at that toll station and Jimmy pulling over to us and telling us he had come off and then walking around to the other side and seeing the damage to his ZZR1400. How tough was Jimmy when you think he rode all the way back home with a dislocated shoulder. What about that fella who met us in Spain on his Suzuki that was all taped up because he had come off riding down to meet us from Italy after watching the GP there. Got to say thinking back given that not everyone knew each other it was a great trip. Its also great to think we all rode all the way down to Spain because I only seem to meet people that have got on a ferry in the UK and landed in Spain. Hopefully I will have a better biking year in 2019 and manage to get up to see you all at the Green Welly. Really happy to hear from you Sarah. Thanks for the update and be safe out there. Lovely to see Kam's bike on the road. I'll bet he's smiling. Hi Bubu, of course I remember.... and the tshirts you gifted John and I.
Hi Oms, its so heartbreaking hearing you lost your wife and that you two had a shared passion for riding. I know I don't need to explain to you why we feel the way we do, but somehow we managed to cope and build around that loss. And not a day goes by without us realising something we are doing is not quite the same as before, because the absence of our love one. However it is great to hear that your friends have been so supportive like mine too. I often imagine John is only just behind me, which he often would be and those thoughts always give me comfort. I just know John would have wanted me to continue to ride too because we met as bikers and therefore I will continue to be one, though I do wish he was still here. And I promise like my riding, I and the crew will continue to keep this thread alive with stories from Scotland. grashopper, hondated, bubu and 3 others like this. Lol Jimmy was a very tough individual. He's was the sort of guy who would not stop.... dare I quote something from the Holy Grail, 'it's just a flesh wound' especially after hearing the eulogy. 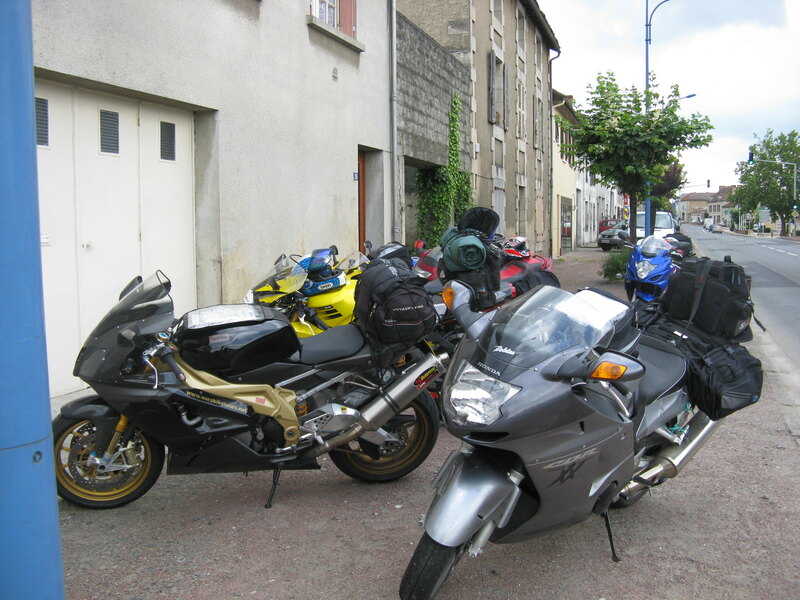 The guy on the Suzuki was a bit of a cocky so and so, but tbh without him we probably wouldn't have made it back to Brive. 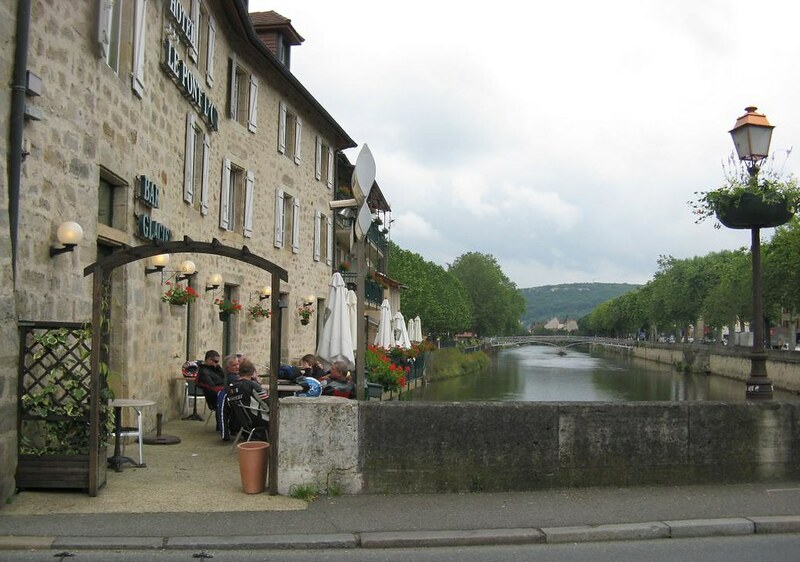 He was extremely knowledgeable and spoke french very well... 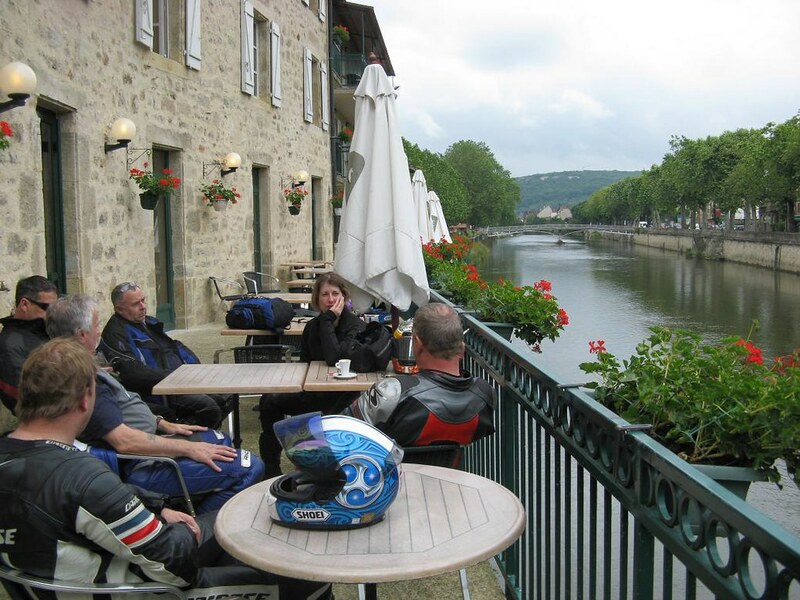 Though having a leaky bottle of oil strapped to the back of his bike was probably less of a good plan (I think we noticed once we got back in to France) lol. hondated and TreasureState like this. Out yesterday for a wee run with the guys - it took a little persuading well the temps were around 41 degree, but we headed firstly to Arrochar and bathed in the sunshine (to warm up), at the top Loch Long. Neil Claydon, TreasureState, ullukk and 2 others like this.